It has been recommended that a programme to tackle repeat offending be rolled out across the country after it was successful in three pilot schemes in the Dublin area. 30% of violent and serious criminals admitted to the pilot did not re-offend over a two-year period, according to a report by the Joint Agency Response to Crime (J-Arc) to be published today. The report also found that in cases where offenders did commit further crime these offences tended to be less serious. The programme was run on a pilot basis by the Department of Justice, An Garda Síochána, the Prison Service and the Probation Services. However, the agency's report also shows that data from each project was not gathered in a consistent way and variations between the pilot groups prevent definite conclusions being drawn from the results. 89 recidivist criminals convicted of serious offences including burglary and violent crime from all over Dublin were admitted to three two-year pilot programmes. 51 of them were priority targets. The offenders had spent long periods in prison. 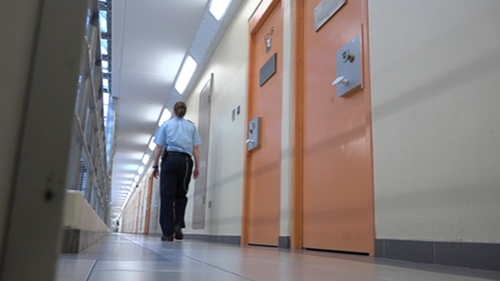 One individual was repeatedly jailed over a 20-year period. During the programme the participants were monitored and while re-offending was identified the agencies sought to find a balance between minor slippages and strict compliance. Of the 89 people involved, 27 of them, or 30%, did not re-offend, while a further nine – 10% partially re-offended. There was a reduction of between 90-100 burglaries by the participants in the Tallaght and Kevin Street projects, a drop of 37%. Violent offending was also reduced. The report concluded that each of the three projects was effective in reducing crime and increasing public safety. It found that the risk posed by the offenders was also reduced and they developed positive attitudes and achieved educationally. The programme identified longer gaps in offending behaviour and a reduction in the severity of the crimes committed. It also found that the agencies worked well together but that information was not always shared, such as information from the PULSE system which identified when a participant re-offended. The report stresses that it is difficult to draw definitive conclusions because the numbers involved, less than 100, were low, the data from each one was not gathered in a consistent way and because of variations in the programmes. However, in spite of these and other limitations it concludes that each of the three projects was effective in reducing crime and increasing public safety and recommends that further projects be rolled out all over the country. It also points to an economic assessment carried out on a similar project in Northern Ireland with just over 350 participants. It showed last year that for every £1 spent on the programme, an economic benefit of £2.20 was generated in the form of reduced economic costs of crime.